Would You Drink Gin Made From Lobsters? A chef in Belgium claims he’s created the world’s first “lobster gin”—a drink that is, as the name would suggest, a gin made from lobsters. The product will hit the market next month; meanwhile, a couple questions are still up for debate, including whether it’s cruel to crustaceans or whether it’s even gin at all. Chef Kristof Marrannes of Michelin-starred eatery Ter Leepe in Zedelgem, Belgium, developed the drink in an effort to create a perfect cocktail and seafood pairing. As reported by Munchies, “Macerating the crustaceans in pure booze, he discovered, draws out their sweet, briny aromas and flavor.” From there, Marrannes heated the lobster-infused booze, condensed the vapors and mixed them with regular gin. Some animal rights advocates weren’t pleased. 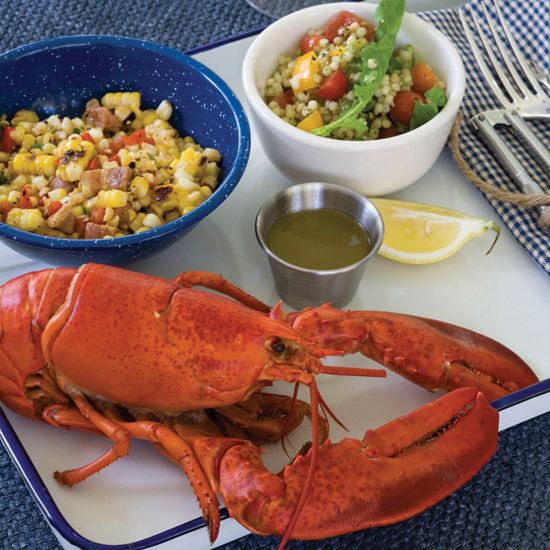 The soaked lobster gets tossed after the flavoring process, so using an entire lobster just to flavor gin could be construed as wasteful and cruel (especially if, as some thought, the lobsters were being soaked while still alive). On top of that, a Dutch blogger contests that gin made from something other than plants doesn’t even really qualify as gin under European Union regulations. Meanwhile, Lobstar—as the lobster gin is called—will be on sale soon at a price of about $63 for a half liter. At the very least, it’s probably one of the few types of liquor you wouldn’t look ridiculous drinking while wearing a bib.